Before D-Day, on June 5, 1944, some 90 teams of two to four men parachuted into Nazi-occupied France. They were members of the Office of Strategic Services, the predecessors of both the CIA and the modern-day Army Special Forces. These OSS teams were called “Jedburgh” teams and were highly skilled in European languages, parachuting, amphibious operations, skiing, mountain climbing, radio operations, Morse code, small arms, navigation, hand-to-hand combat, explosives, and espionage. They would need all of it. The OSS teams’ job was to link up with resistance fighters in France, Belgium, and the Netherlands to coordinate Allied airdrops, conduct sabotage operations, and roll out the red carpet for the Allied advance into Germany. D-Day was to be the “Jeds'” trial by fire. 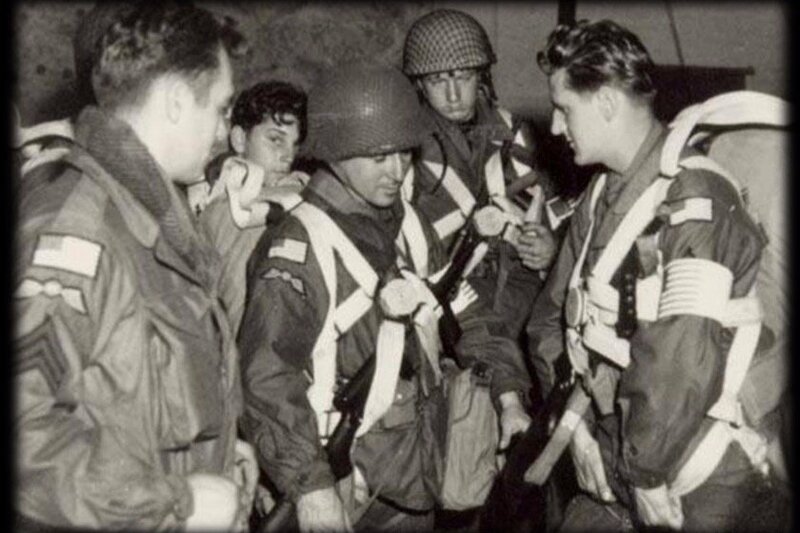 The Jedburghs preparing to jump before D-Day. Fast forward to 75 years later: Europe is no longer a fortress and the OSS has since evolved into both the CIA and the US Army’s Special Forces. To honor that tradition, a team of Army Special Forces veterans, including SOF legend and 2017 Bull Simons Award Winner CSM Rick Lamb, are planning to recreate the Jedburghs’ famous nighttime jumps into Europe in June 2019 and those veterans just happen to be members of the ODA that rode into Afghanistan on horseback in the days following the 9/11 attacks — they are Team American Freedom. 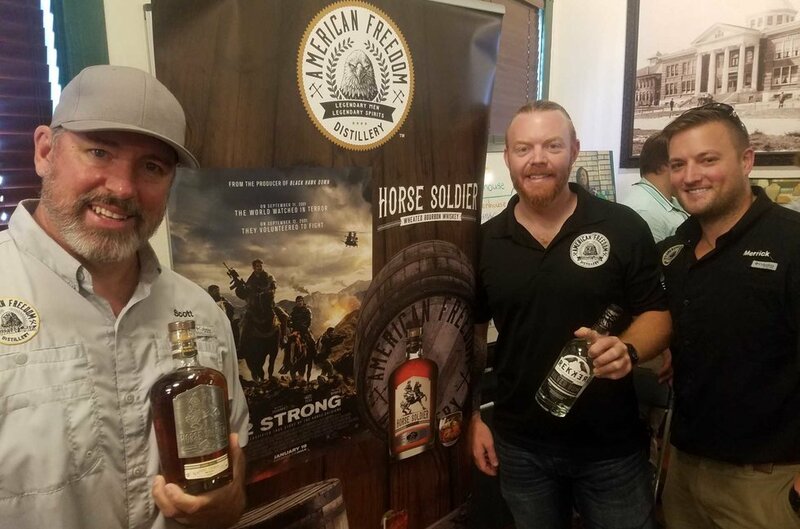 If the name “American Freedom” sounds familiar, it’s because they’re also the founders of American Freedom Distillery, a Florida-based premium spirits brand, makers of Horse Soldier Bourbon and Rekker Rum. And it’s not only the Special Forces veterans jumping from the lead aircraft on June 5th, they’re in good company. Joining them in the jump will be retired Army Ranger Bill Dunham, who lost a leg in Panama in 1989, the Gold Star mother of another Army Ranger and some of her late son’s fellow Rangers, and a 97-year-old World War II veteran. For the entire summer of 2019, France and England will be celebrating the D-Day landings and the start of the liberation of Europe. The D-Day airdrop is just the beginning, other events will include parades, military encampments, and showcases featuring World War II uniforms. The team is set to stage out of Cherbourg, France and tour some of the areas where the most intense fighting occurred. On June 5th, they will jump out of a C-47 Skytrain, just like their forebears did 75 years ago, and hit the dropzone at around 11a.m. They won’t be coming empty-handed. 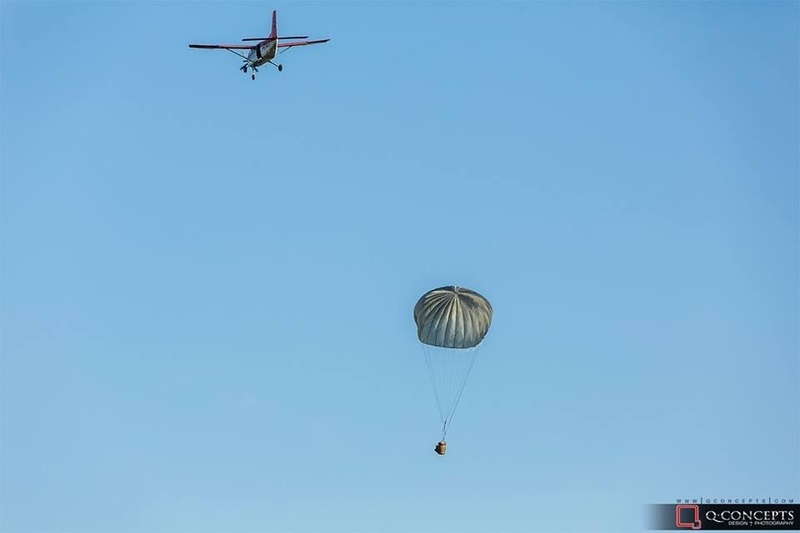 They will also be dropping a barrel of their Horse Soldier Bourbon to support the festivities on the ground as 200 more jumpers hit the drop zone throughout the day. If you want to support Team American Freedom as they remember the brave men who landed behind enemy lines a full day before the Allied invasion of Europe, you can help by contributing to their GoFundMe page. You will be enabling generations of special operators, CIA veterans, and Gold Star Families, many of who have lead insertions into modern day areas of operations attend this historic event.